Term applied to a set of tubes suspended in a row or in a circle so they can be blown in the wind in a way that allows them to strike each other and create a random set of sounds. Although this is not technically a musical instrument (i.e. 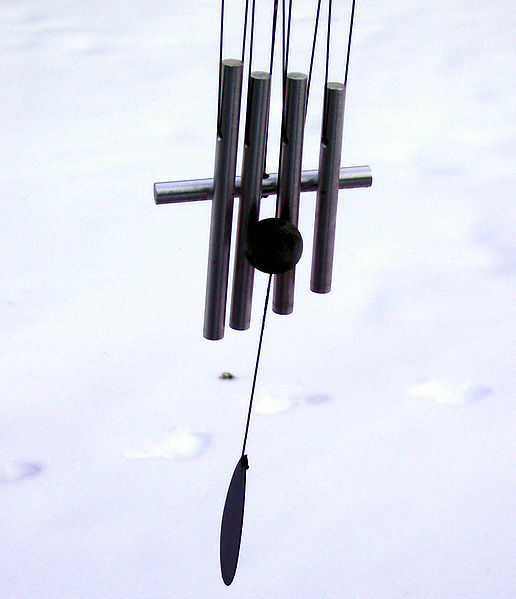 performed as a solo instrument or in an ensemble), it is similar to and often mistaken for the Mark Tree (sometimes called bell tree or bar chimes). The tubes may be made of metal, glass, bamboo, stone, porcelain or shell. See also Mark Tree ; Bar Chimes; Bell Tree.